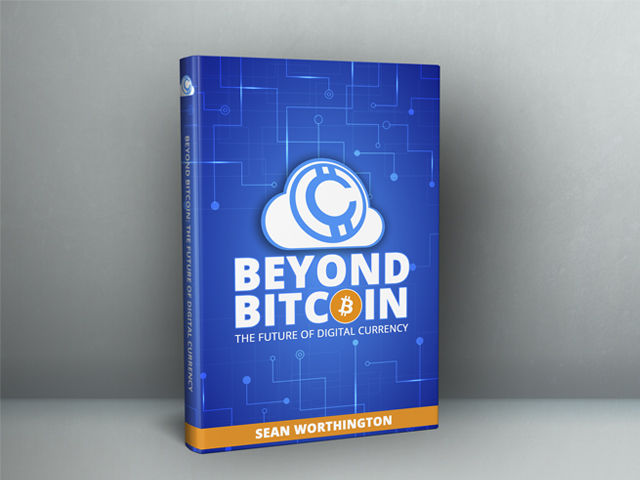 You will receive a link to the digital version of Beyond Bitcoin: The Future of Digital Currency. This eBook describes what money is, why digital money will dominate the future, the perfect money possible and, the utopian and dystopian potential of digital currencies, how money got started, and how we can protect our right to use money. You will recieve Cosumers Edition Desktop software for Windows. (There are other programs for Mac, Android and Linux). 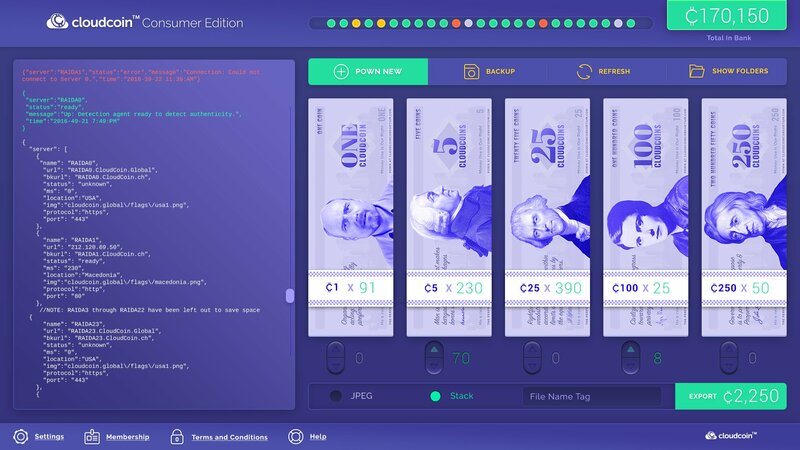 Consumer's Edition manages your CloudCoins like a cash register. It powns (password owns) your new CloudCoin 200 times faster than other software. It stores them safely in your bank folder until you exports them as jpeg files or text files. You can add more 250 notes by entering a number in the number box above. Watch a video on how to buy CloudCoins. Your CloudCoins, Ebook, and Software will be emailed to you after purchase. Purchases are handled manually and will be processed Monday through Friday, 8am to 9pm PST. You can add more 250 notes by entering a number in the number box. Help Desk Available between 8am and 5pm PST. We do not collect user data except email addresses in case we need to send critical information.